The game which ended 1-0 saw Barcelona get an away goal advantage after an own goal by Luke Shaw in the 12th minute. 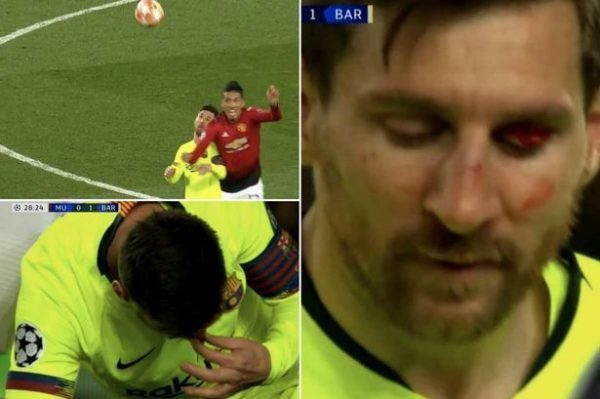 Messi was smashed in the face e and Smallincontested for the ball leaving him with a swollen eye and broken nose. The Argentine spent some time on the ground as medics did their work to ensure the bleeding stopped. Manchester United will now be heading to Camp Nou for the second leg in a bid to qualify for the semi-finals.